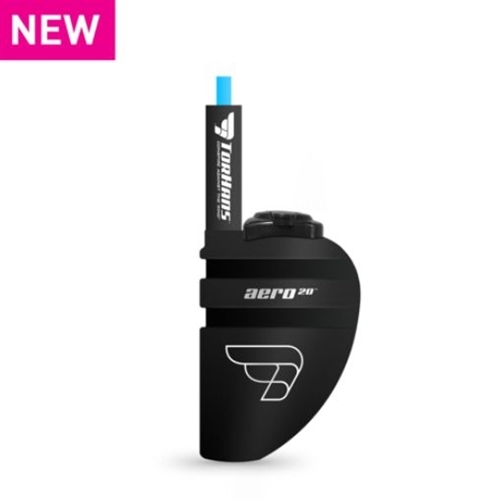 The Aero20™ hydration system is designed to be the most aerodynamically efficient way to carry fluids on a bike. Designed with our new XFlow3™ spill-free, fill-on-the-go cap, patent pending AeroFlow™ aero straw and dual channel mounting system, this aero water bottle will keep you fast and hydrated! Accessories (not included): Torhans Aeromount & Torhans AeroTray. CLEANING: To clean your aero water bottle, after each use simply fill with a few drops of liquid dish soap and warm water and shake vigorously. You can also use a thin bottle brush to gently clean out the corners at the bottom. Please take care when inserting a bottle brush.